Size 2.78" x 3.80" x 0.10"
Contents Standard package contains 20 plastic indicators, 20 instruction sheets and 20 sets of red on white self-adhesive warning labels per device. One goes on the package and the other is affixed to the bill of lading. 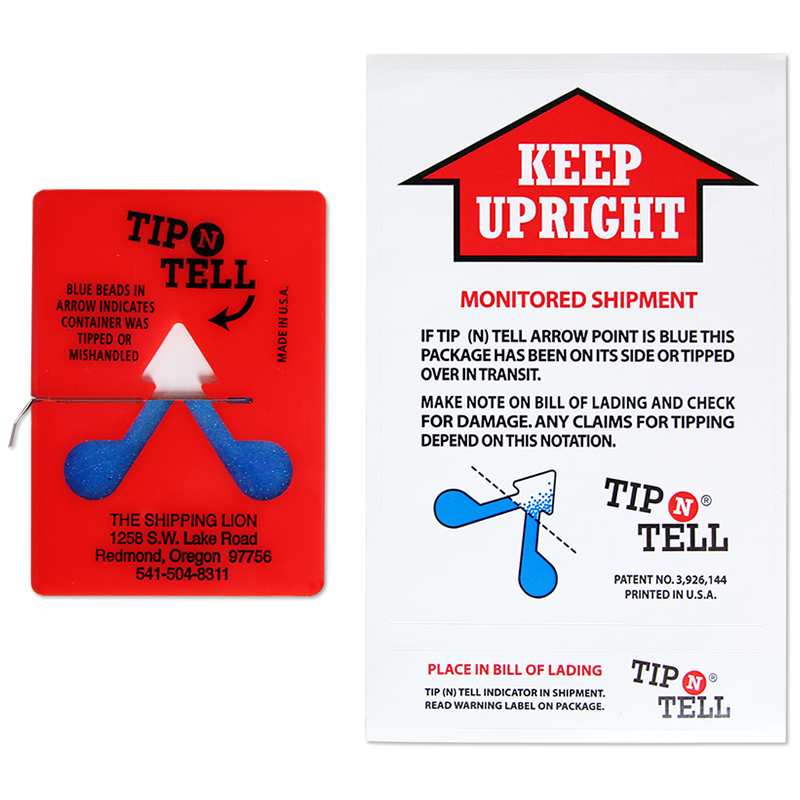 The Tip-N-Tell is a low cost system to warn of possible damage to a container that has been tipped in transit. It is so sensitive that it will indicate if a container has been gently tipped on either side or completely upended. • Housed in a bright red 2.78" x 3.80" x 0.10" plastic card, the self-adhesive TelaTip is quickly affixed to the side or inside of a package. 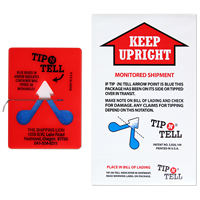 • With the Tip-N-Tell, any concealed damage can be spotted at the time of delivery or before the delivering carrier leaves the consignee's dock. • Plastic card measures 2.78" x 3.8" x .10". • Indicator can be applied to the package with the adhesive strip that is on the back. Just remove the liner to apply. • To active the indicator remove the metal barrier. 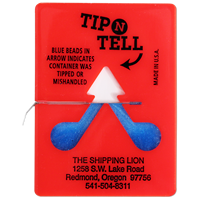 If the package has been tipped the blue beads will be displaced turning the top of the arrow from white to blue.